He is a first-year formerly from Daten High School. 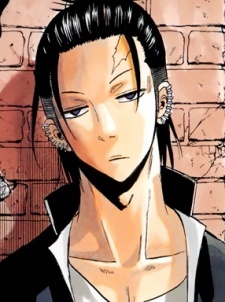 He is the former head of the Fallen Angels but remains the leader of the gang's members. His demon is Lucifer. However, depicted in the manga, Lucifer seems to be entrapped within a small female body. Takamiya received Lucifer when he was very young which led to who he is today.